Zimbabwe Oxford Burial society (ZOBS)was launched today at a colourful ceremony attended by the local Member of Parliament, Honourable Andrew Smith ,CNN Hero for Protecting the Powerless and Global Advocate for girls` rights Betty Makoni who both delivered messages of solidarity in their speeches. Hon Andrew Smith was the guest of Honour and he officially cut a purple ribbon to declare ZOBS launched. The Chair of ZOBS ,Mr Maxwell Sibanda opened the launch by expressing gratitude to all Zimbabweans in Oxford who committed time and resources to ensuring that ZOBS becomes a reality. Maxwell went on to spell out their vision to build many community based organisations from ZOBS so that Zimbabweans enjoy life whilst they are still alive. He said they had many community projects in mind and they will join hands to make such projects a reality. Mrs Sibanda, Director of Ceremony at the event took Zimbabweans down memory lane when she sang a Malawian song by many burial societies of Malawi origin in Zimbabwe before calling upon Betty Makoni to give a speech. Betty Makoni shared many testimonies of women who had died in the Diaspora and their relatives had approached her for assistance. She said ZOBS is the best thing ever to happen in the Zimbabwean community in UK because many times when disaster strikes we have little money to even forge ahead as most of people`s earnings are stretched by extended families at home as well as families we have to look after here in UK. `We always want to go back to our countries of origin to be rejoined with our ancestors. This is what gives us an identity. Any tragedy can strike a family and even in many instances domestic violence can result in a partner being murdered in the home. If there are little children in the home, what will they do and where will they start? We are all so well dressed and we look so well but the minute we die there is no single cent in our accounts and many people are surprised why we looked so well dressed as if we had excess money.` said Betty Makoni amidst a big applause. Betty Makoni took a swipe at some Zimbabweans who don’t work to build their communities. She said the Royal wedding showed her one thing; That British people are united in their culture. One million people went to support the Royal couple who wedded in London. `Our Zimbabwean communities do not support anyone who is successful. Imagine someone creating a face book page to misinform public and spread malicious rumours to destroy someone who started an organisation in a classroom and in a waterlogged office with a type writer okay with all words except letter `e`. You know we struggle in our community to come together because of petty jealousies. If someone emerges as a leader lets support them like what we see in Indian and Nigerian communities. We are all gifted differently. 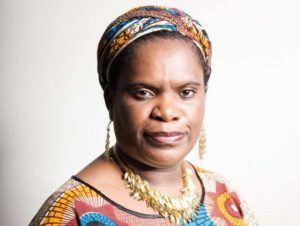 Shun anyone using hate language and who smells of petty jealousies`, said Betty Makoni . A representative from the Black and Minority Ethnic Team from the Borough called for unity of purpose in the Zimbabwean community. She reminded them to create a community that supports culture, spiritual growth and an identity.